Yesterday was a good day because I got news from our HR that our leave has been approved. Although it's still in August, I'm very excited and am now starting to plan itineraries for both Raymond and my family. Of course I am also looking at a trip for only the two of us. Did I mention that I'm also thrilled that this is happening in the most scorching month in the Doha calendar. But before all that takes place, let me share with you what we did in the Philippines in our vacation last 2013 (sorry, this is outdated). 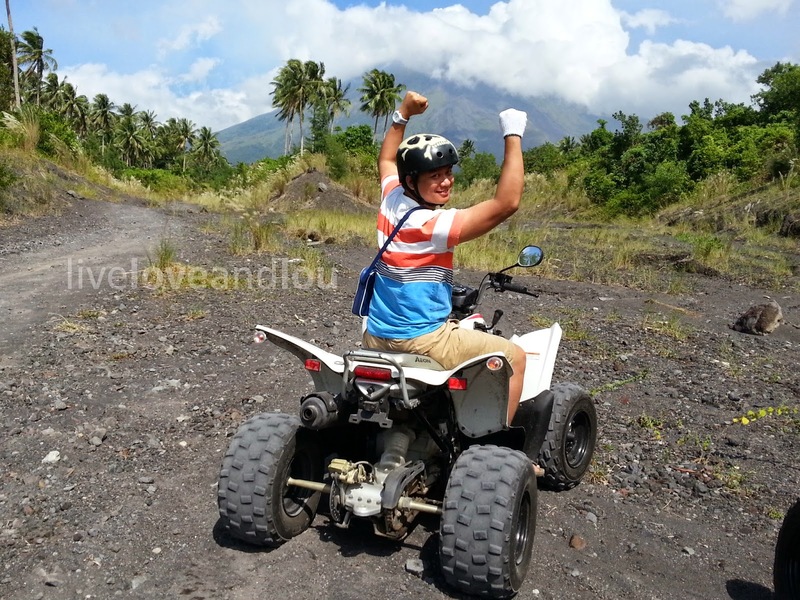 Let's start with our ATV adventure at the Mayon Volcano (consider this as part 1 of the 2013 vacation). 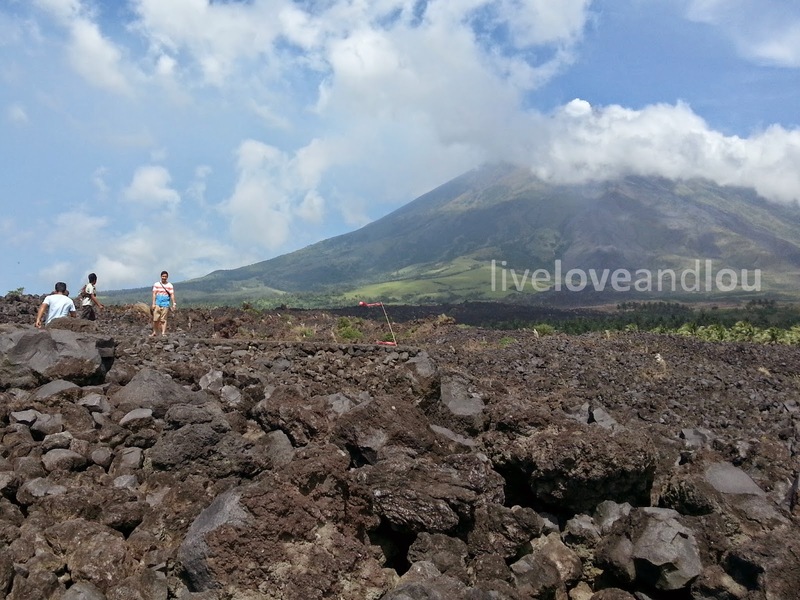 Mayon Volcano Bulkang Mayon is an active volcano in the province of Albay in the Bicol Region. It is known for its "perfect cone" because of the symmetric conical shape of its crater. 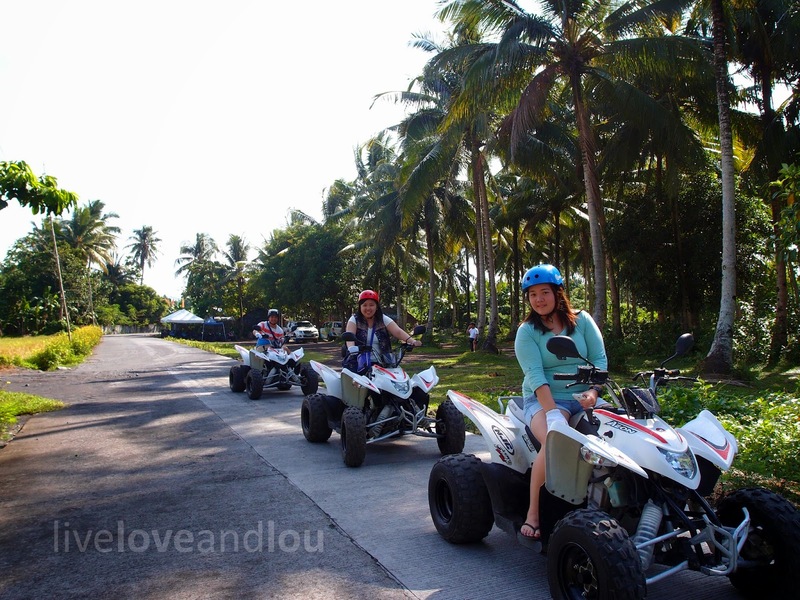 We heard of Your Brother Travel and Tours from relatives who have tried their ATV tours and decided to try it out ourselves. 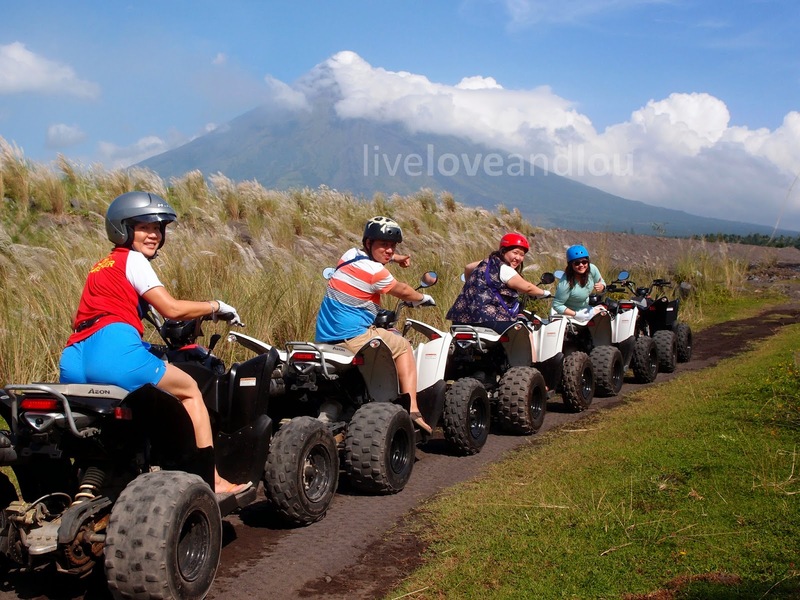 They are accredited by the Department of Tourism as an ATV service provider for the Mayon Lava Trail. 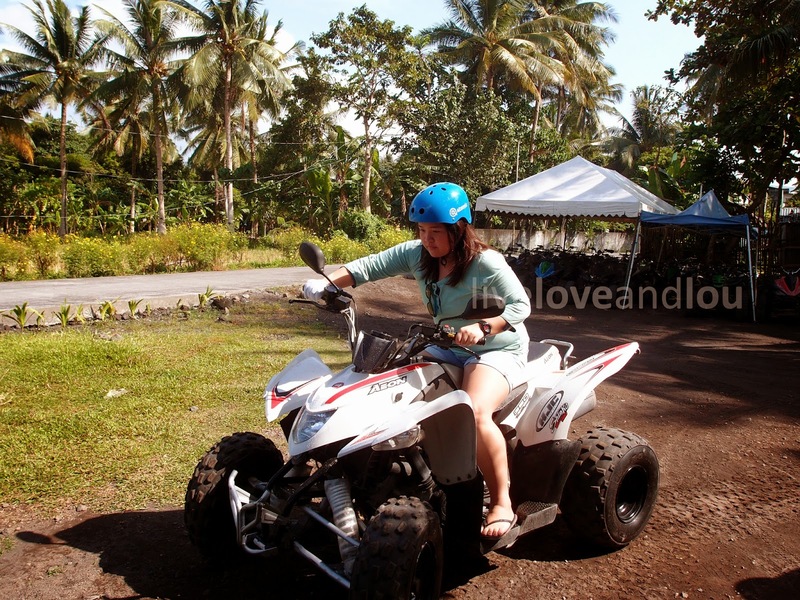 There was a little run-through on operating the ATV at their parking area. And we were good to go. Of course my sister has all the good photos. 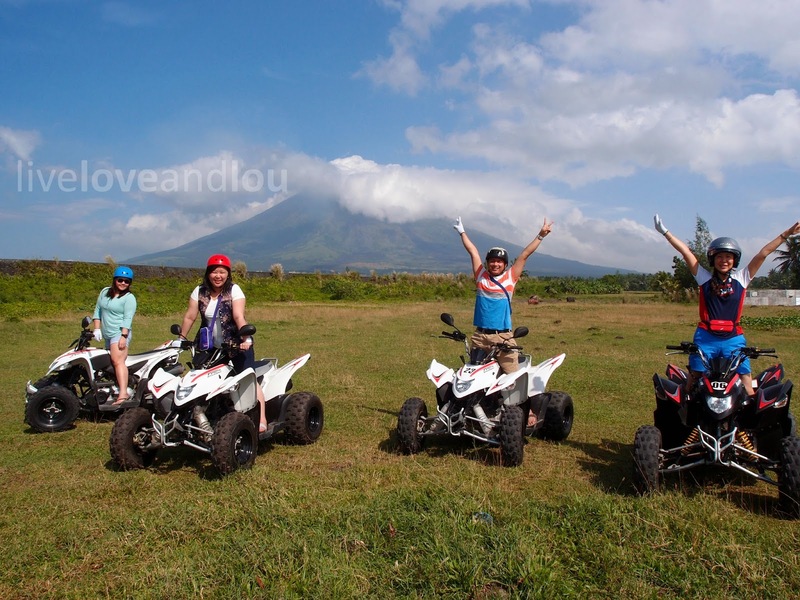 Unfortunately, the Mayon was shy that day and was hiding behind a gang of clouds. Still beautiful, nonetheless. The thing also was that our guide knows the perfect angles to take photos. 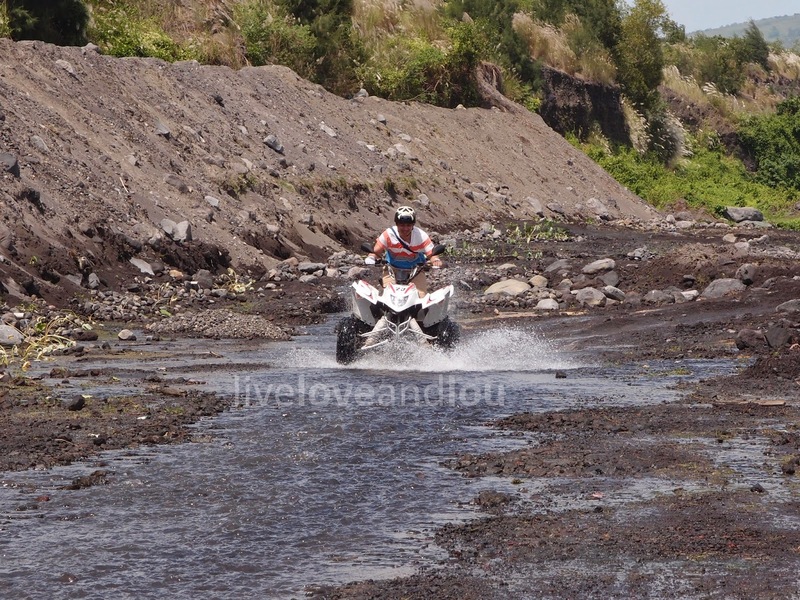 The route was quite challenging, with different terrains, water, rocks, mud and everything else. 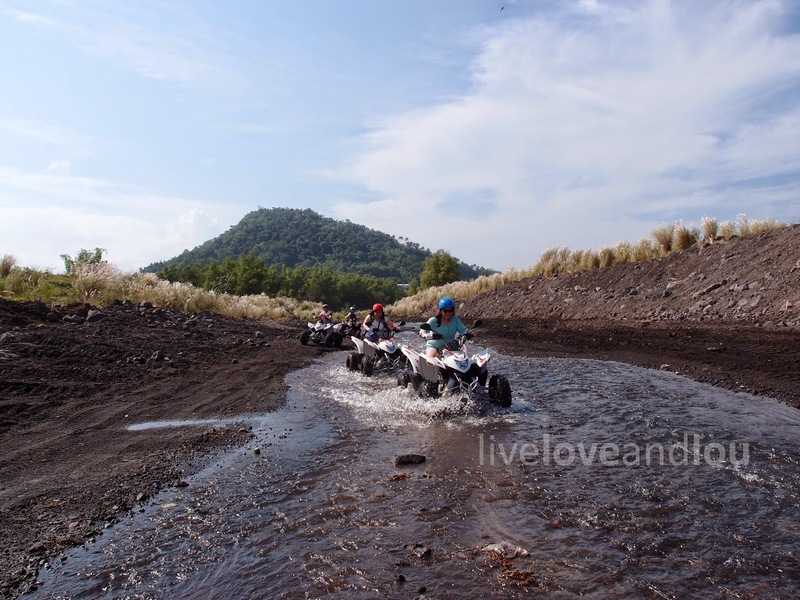 They have a camp at the end of the trail (by the way, we opted for the Basic ATV Trail, P2,500 for a 350cc single seater ATV) where you can rest or decide to climb up a lava wall with a helipad at the top and zoom your way down in a 300 meter zip line (additional P300 for the zip line). It was quite scary, some of the rocks were moving and you can see some light from the inside which just means that some parts of the lava wall were hollow inside. 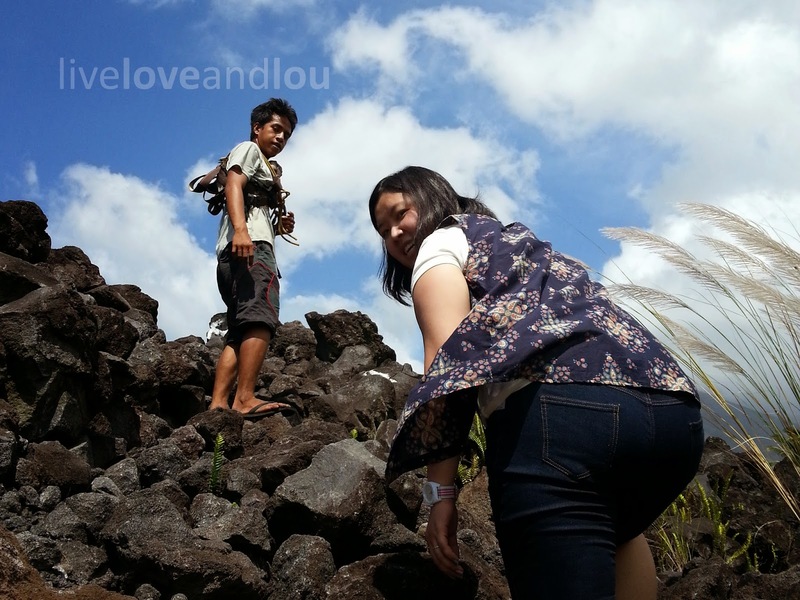 Only Raymond had the courage to go through with the zipline, so I had to go down the lava wall by foot. 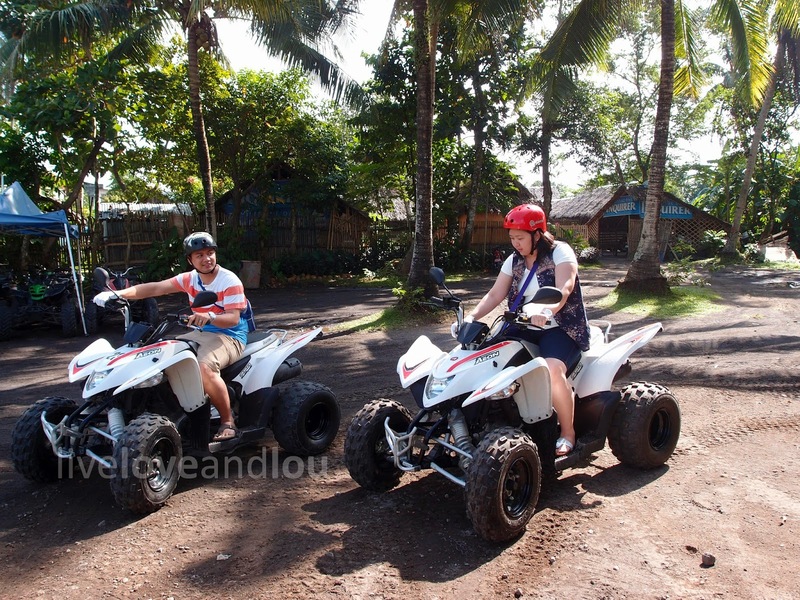 It was a really fun experience and we would definitely do it again if we ever go back to Bicol.Maybe by then I'd have enough courage to go down the zip line. We might also even try a father route than this. Thanks to Your Brother for the great tour and accommodating us graciously. 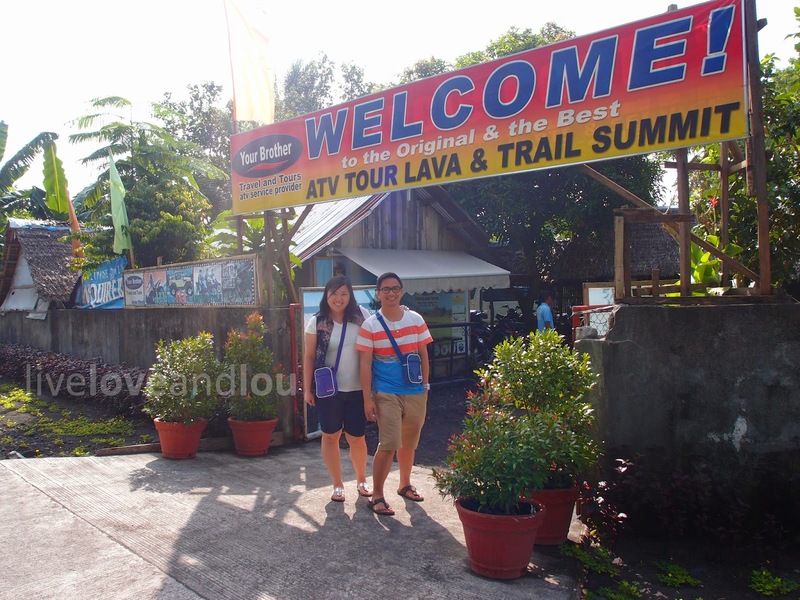 You can also inquire at the Lignon Hill Nature Park, they have some staff there to assist you on going to the site. 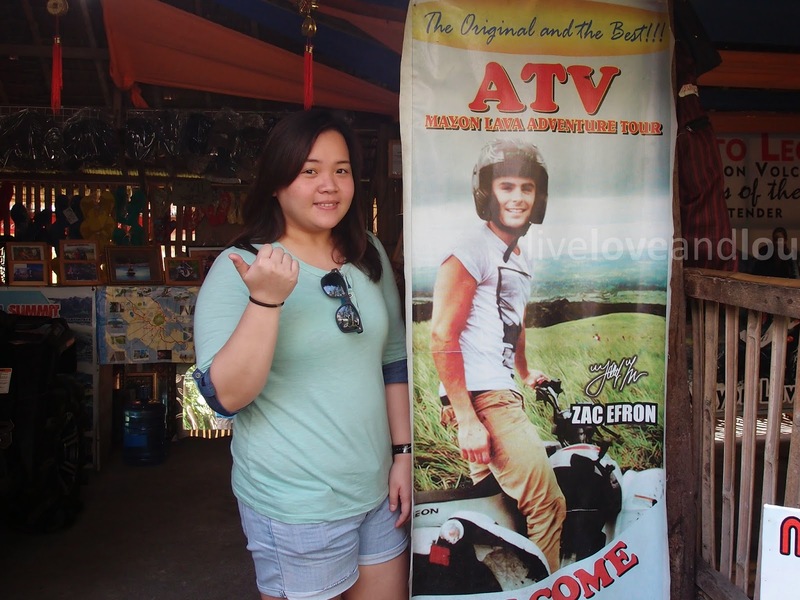 I love that Zac Efron accredits the ATV. Hahaha. However, I have to look up who Zac Efron is. Lol. Now I'm ashamed that I know who Zac Efron is. Haha. He's that kid from High School Musical. 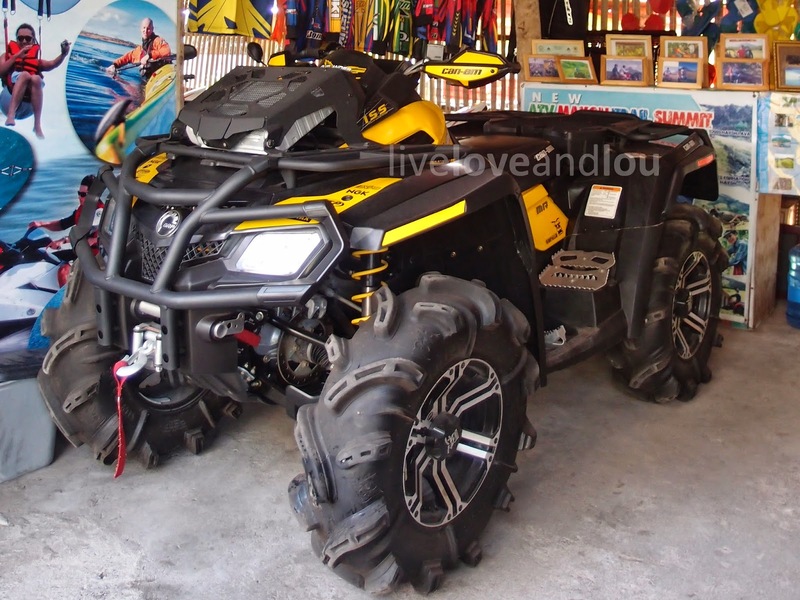 It's really quite easy, the ATV is semi-automatic. I think the hardest part was going up the lava wall. 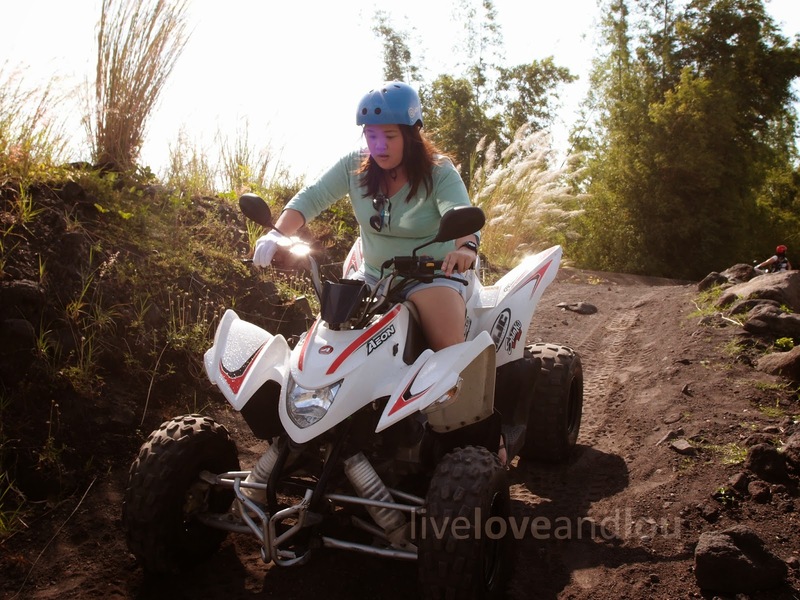 Nice and Enjoyable Blog Post.Kabura Travel & Tours operator offers the best Cape Town private tours with affordable price. Want to tour in Cape Town, South Africa. Then contact us. Many thanks for sharing! You can visit http://www.chiangmaiglobaltour.com/ to get more info about best tours.